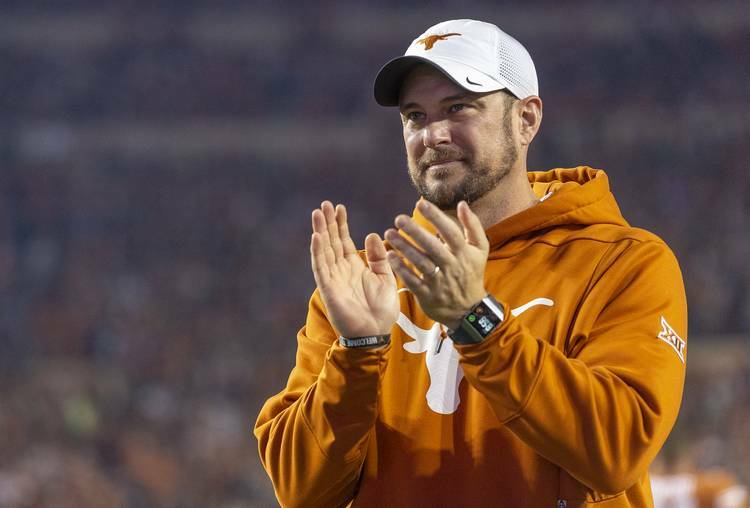 Tom Herman and his staff added instant help along the defensive line in the 2019 class when three-star JUCO defensive end Jacoby Jones picked the Longhorns after a visit to Texas for the Iowa State win. Jones was committed to Oklahoma until Nov. 13. The 6-foot-4, 250-pound edge rusher is the fourth defensive end pledge for the Longhorns and the second this week, joining three-star Myron Warren. Jones is the No. 1-ranked strong side defensive end in the JUCO ranks, and the No. 26-ranked overall JUCO product in the 2019 class. He held 17 offers. Texas loses all three starters from its defensive line after the season and Jones is more physically prepared to offer consistent snaps than the three other prep prospects. Jones is the 22nd pledge in the 2019 recruiting class that ranks seventh nationally and first in the Big 12. Expect the Longhorns to close shop at defensive end with the commitment of Jones as the staff focuses on finishing the class with offensive tackle Isaiah Hookfin, five-star athlete Bru McCoy and four-star running back Noah Cain.